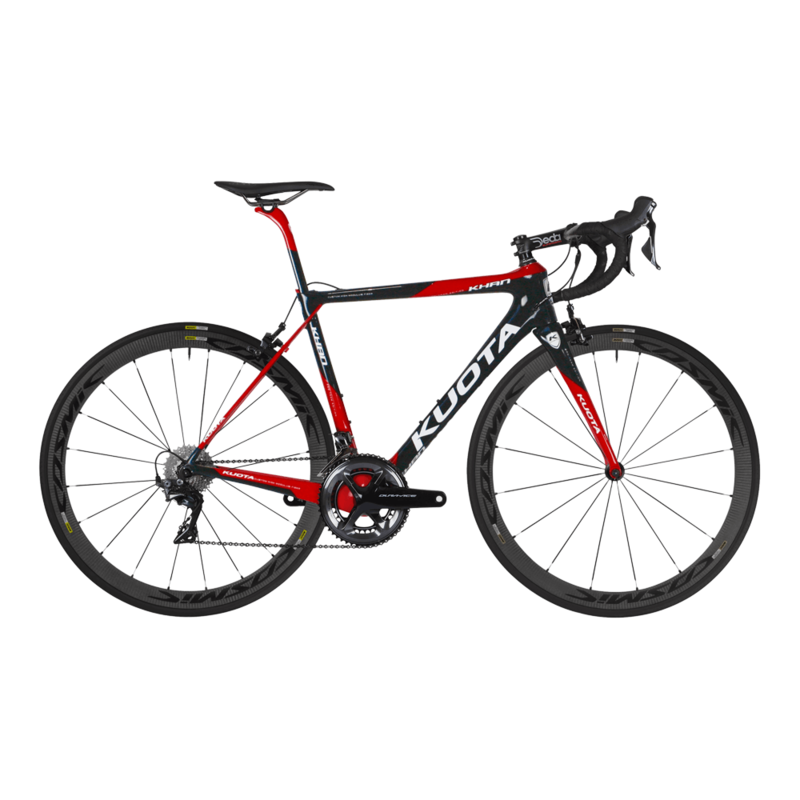 The Kuota Khan Cofidis Team road bike is lightweight and stiff in the right places for optimum performance. This carbon road bike is Di2 compatible and uses a BB386 bottom bracket system. Equipped with Shimano Dura Ace 9000 and Mavic Ksyrium Pro Exalith wheels, this model is used by professional cycling team Cofidis and is featured in the biggest theatre of bike racing, the Tour De France.